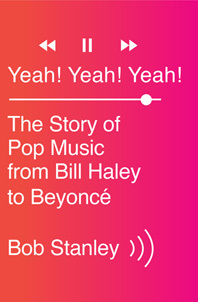 Dedicated to the idea that music criticism can be literate and fun to read, The Avid Listener fosters weekly discussions between scholars and novices alike. If history is written by the victors, how can we recover the stories that have gone untold until now? Especially in the history of music—an artform that is difficult to describe and gone in an instant—how can we recover voices of the past that have been silenced? 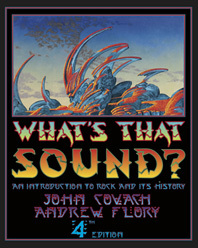 The previously silenced story I’d like to tell—that of Sara Levy—is both fascinating in its own right and instructive as a model for thinking about music history as a whole. A virtuosic performer, a patron, and a collector of music, Levy preserved and transmitted repertoires that would have been lost without her, including a large number of works by members of the Bach family. Yet until very recently, music historians have ignored her or even swept her under the rug. A Jewish woman at the center of German musical history? As unlikely as it seems, Levy’s story is very real, and is a product of a pivotal moment in European history. Daniel Itzig’s children benefited from his wealth and position. Along with her siblings, the young Sara Itzig received the finest musical education available. By 1774 she was studying harpsichord with no less a teacher than Wilhelm Friedemann Bach (1710–1784), eldest son of the revered composer Johann Sebastian Bach (1685–1750). When she was married to Salomon Levy in 1783, Friedemann presented her with a song, “Herz, mein Herz sey ruhig” (Heart, my heart, be still) as a gift. The music is based on a keyboard work that he had written some years earlier—such “self-borrowing” was common in the 18th century—and the voice part was newly composed. W.F. Bach, “Herz, mein Herz sey ruhig,” Fk. 97. Frederick Urrey, tenor; Rebecca Cypess, fortepiano. The song starts at about 6:27 and ends at 9:07. Around the time of her marriage, Sara began to host salon gatherings in her home, in which men and women, Jews and Christians, gathered to socialize and to discuss new cultural ideas. However, unlike other salons hosted by women in Enlightenment Berlin, which were centered primarily around literature, Sara’s salon was musical. Sara became a keyboard virtuoso, defying the expectation documented in the many collections of “Damen Sonaten” (Ladies’ Sonatas) of the late 18th century that women could play only easy pieces. By the mid-1790s she was performing outside of her salons as well, in concert series and, later, as a concerto soloist at the amateur music society known as the Sing-Akademie zu Berlin (The Singing Academy of Berlin). When the Jewish writer Wolf Davidson made his argument for the integration of Jews into the predominantly Christian society of late 18th-century Prussia, he cited “Madame Lewy” as an “excellent keyboard player” whose skill attested to the contribution of Jews to German culture. Sara Levy was also a collector. Indeed, she was among the first private collectors to take an interest in the preservation and performance of music of previous generations, especially that of J.S. Bach. With Wilhelm Friedemann as her teacher, you might object, what could she do but play the music of his father? But this was at a period when older music in general was neglected in favor of newer music, and when the music of Johann Sebastian in particular was viewed as old-fashioned and overly difficult to understand. Yet Sara Levy, along with her sisters and her husband, played solos, chamber music, and concertos by Bach and his contemporaries, and their soirées constituted what the composer Johann Friedrich Reichardt called a “Bach cult.” Around 1813, Sara donated the majority of her enormous collection of manuscript scores and printed sheet music to the Sing-Akademie. It was there, in 1829, that her great-nephew Felix Mendelssohn Bartholdy staged his famous performance of J.S. Bach’s St. Matthew Passion—the event that sparked the so-called “Bach revival” of the 19th century. Would this have been possible without his aunt having paved the way? Sara’s interests extended even beyond performing and collecting. She was also a patron of new music. Her cultivation of the music by the Bach sons—not only Wilhelm Friedemann but also his brother Carl Philipp Emanuel (1714-1788), then resident in Hamburg—produced fascinating works. 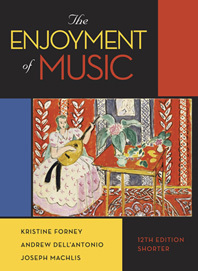 Some of the keyboard fantasies of Friedemann are preserved only in manuscripts associated with Levy and her circle, suggesting that she or her family may have commissioned them, heard the composer play them, and played them themselves. This fantasy is a good example of Friedemann’s keyboard style: it is technically rather difficult; it moves easily from one mood to another; and it involves the counterpoint—interaction among multiple independent “voices”—for which the Bach family was well known. Other important works that Levy is thought to have commissioned are the late quartets of C.P.E. Bach. It might seem odd that these “quartets” involve only three players, but the composer treated the right hand and the left hands of the keyboard so independently that he considered them two separate actors, each equal in status to the flute and the viola! 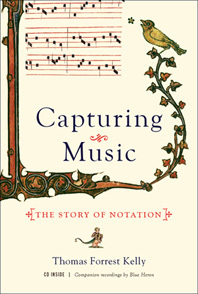 Given Sara Levy’s prominence in the musical landscape of Enlightenment Berlin—her accomplishments as a performer, her role as a collector in shaping her own musical environment and that of future generations, and her significance as a patron of the Bach family—how can it be that so few music students today—or, for that matter, professional musicologists—heard of her? A third answer, perhaps, lies in the curious history of Sara Levy’s collection of musical scores. While the majority of her collection was held by the Sing-Akademie for some generations (a handful of sources were preserved in other libraries in Europe and the United States), the Sing-Akademie’s archive was hidden away by the government of the Soviet Union after the Second World War. Thought to have been lost beyond the possibility of recovery, it was rediscovered in Kiev in 1999 and, under Wolff’s leadership, repatriated to Berlin, where it is now held in the State Library. Wolff and his former student Peter Wollny, now director of the Bach Archive in Leipzig, have taken steps to assess its contents and recognize the important roles that Levy played in the perpetuation of the Bach tradition. To these answers I would add yet another: historians of music tend to value composition over other kinds of music-making. Sara Levy might have been a composer—we may never know one way or the other—but in any case, she seems not to have signed her name to any composition. Instead, she made music in other ways—as a performer, hostess of salon concerts, collector, and patron. Like the “avid listeners” of today, Levy shaped her musical environment through activities other than composition. Telling the story of Sara Levy forces us to confront music as a living, breathing, sounding tradition. By learning about her life and her art, we may gain new insight into the richness and complexity of the craft of writing music history. Are there lessons from Sara Levy’s story that might shed light on other participants in music history? What might the case of Sara Levy teach us about the ways in which we think about music as an artform and our own approaches to music history? 1 Christoph Wolff, “A Bach Cult in Late Eighteenth-Century Berlin: Sara Levy’s Musical Salon,” Bulletin of the American Academy of Arts and Sciences 58, no. 3 (spring, 2005): 26. Andrew Dell'Antonio is co-editor of The Avid Listener and University Distinguished Teaching Professor at the University of Texas, Austin. His research interests include musical historiography, feminist/queer theory, and cultural studies, and he has recently written about contemporary popular music and the fashioning of a postmodern critical stance. 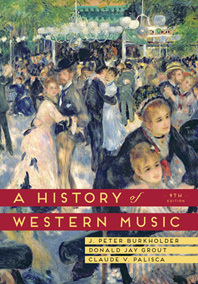 He is co-author of The Enjoyment of Music (W. W. Norton). W. W. Norton & Company has been independent since its founding in 1923, when William Warder Norton and Mary D. Herter Norton first published lectures delivered at the People's Institute, the adult education division of New York City's Cooper Union. The firm soon expanded its program beyond the Institute, publishing books by celebrated academics from America and abroad. By mid-century, the two major pillars of Norton's publishing program-trade books and college texts-were firmly established. In the 1950s, the Norton family transferred control of the company to its employees, and today-with a staff of four hundred and a comparable number of trade, college, and professional titles published each year-W. W. Norton & Company stands as the largest and oldest publishing house owned wholly by its employees. For media inquiries and information about how to submit work to The Avid Listener, please contact Julie Kocsis, managing editor. The Avid Listener | © W.W. Norton and Company, Inc. 2014 All rights reserved.